My name is Gary Attalla from New Jersey. I work for the State Health Department for 36 years as an Environmental Health Specialist with a broad background in food safety and microbiology, water, pollutions, regulated medical waste, health care facilities and other issues. I graduated from Rutgers University with a science degree and was premed, though i never went to medical school. I am pursuing this issue as a private citizen, which allows for me to be more cavalier, much more. 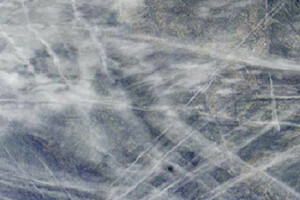 Around January 2013, all at once I began to notice chem trails. It happened in an instant, if not less. Then I began to observe day in, day out ,the relentless spraying. I drive all over the state of NJ. Here is what I have noticed. At any given moment there are dozens of planes in the sky, criss crossing, going back and forth, parallel lines, half circles etc..with the pencil line trails, eventually fanning out to form, for lack of a better word; “clouds”. The sky then becomes milky white that i call 2%, really, and many times a strange iridescent purple. After observing for some time, i began to be able to immediately identify the plumes (that’s it, we’ll call them plumes) even if i did not see the actual planes. Then I came across a movie on You Tube called “What in The World Are They Spraying” on you tube, which eventually led me to Dane Wigington. I came to an independent conclusion (factoring in my background in public health and many days of research), that this is the most pressing issue facing us all. This information was passed on to my brother Mark, who lives 60 miles north of me. The exact same spraying is going on where he lives. There are many pressing issues; hydro-fracking, vaccines with mercury, beef production, yes beef production, genetically modified organisms, banking scandals, deforestation and so many more. Breathing in toxic aluminum oxide, strontium, barium, silver iodide, mercury and other mystery chemicals (because testing can’t be done for everything) is the most pressing. And when it rains, the soil and food supply soak up these chemicals. So when you thing your eating organic, you are not. Because this is going on worldwide and heavy in the USA, the chemicals travel with the trade winds, gulf stream and other winds, and can/do travel thousands of miles. So nobody is safe, not even the rich and famous. After speaking to Dane many times and having my brother Mark visit with him for 4 days, we have complete confidence with this brilliant, nice, persistent man. If you don’t have persistence, it matters not how brilliant. I’d like to think that the chemical spraying of citizens is vitamin C and E, but it isn’t. In truth it is fumigation. We are being fumigated. Nice word huhhh. Our oxygen is slowly being replaced by the above chemicals. Aluminum is a highly toxic substance. Most people don’t even cook with aluminum pots anymore. Remember, we are doing far worse breathing in these nanoparticles than cooking with them. And that is only the aluminum. If American Idol and Dancing with the Stars moves you more than this, then we really do have a problem. To think that we have no power over this would be THE biggest mistake. Though I do work for the Department of Health, I have chosen to contact the Commissioner of Health (my ultimate Boss) as a private citizen, thru email. I do this on my own time and on my own computer (vs my work computer). I feel that this gives me more leeway to fight, and also to bring other people into the arena. I don’t have to go thru all the layers of management and the constraints of my job, which in itself is a tough balancing act. My job has been very good to me over my 36 years. I have no idea what response i will get. My main hurdle is to convince people that there is a serious problem, and this won’t be easy. Jersey also has a Department of Environmental Protection (aka DEP). I plan to contact them too. And since they are not my employer, I can be a little more daring. 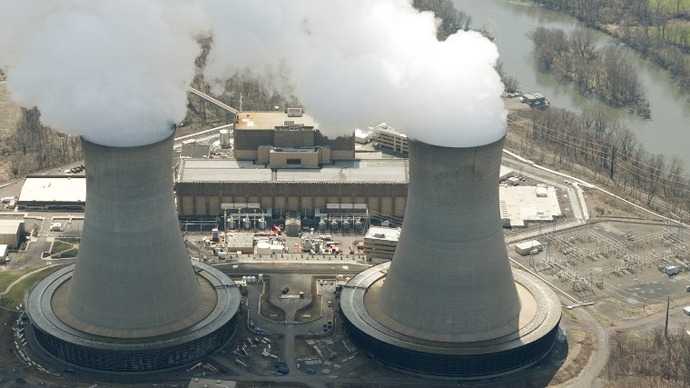 All 104 nuclear reactors currently operational in the US have irreparable safety issues and should be taken out of commission and replaced, former chairman of the US Nuclear Regulatory Commission, Gregory B. Jaczko said. The comments, made during the Carnegie International Nuclear Policy Conference, are “highly unusual” for a current or former member of the safety commission, according to The New York Times. Asked why he had suddenly decided to make the remarks, Jaczko implied that he had only recently arrived at these conclusions following the serious aftermath of Japan’s tsunami-stricken Fukushima Daichii nuclear facility. According to the former chairman, US reactors that received permission from the nuclear commission to operate for an additional 20 years past their initial 40-year licenses would not likely last long. He further rejected the commission’s proposal for a second 20-year extension, which would leave some American nuclear reactors operating for some 80 years. Jaczko’s comments are quite significant as the US faces a mass retirement of its reactors and nuclear policy largely revolves around maintaining existing facilities, rather than attempting to go through the politically hazardous process of financing and breaking ground on new plants. Though the US maintains a massive naval nuclear program, all of the country’s current civilian reactors began construction in 1974 or earlier, and a serious incident at Three Mile Island in 1979, along with an economic recession, essentially caused new projects to be scrapped. A modest revival of enthusiasm for nuclear power emerged in the early part of the last decade, leading to the construction of four reactors at existing facilities within the last three years, slated to be completed by 2020. Despite the lack of new projects, the US is still the world’s biggest producer of nuclear power, which represents 19% of its total electrical output. Fittingly, Jaczko’s comments came during a panel discussion of the Fukushima incident, which has brought greater attention to aging US reactors – some of which were quite similar to the General Electric-designed models overwhelmed by the earthquake and subsequent tsunami in 2011. In response to those comments, Marvin S. Fertel, president and chief executive of the Nuclear Energy Institute, told the Times that the country’s nuclear power grid has, is, and will operate safely. Since the first nuclear reactor went operational in the US, there have been very few fatal incidents at nuclear power facilities, though there were a number of high profile stories written over the inherent dangers of large nuclear reactors during the mid-1970s. One of the most recent incidents at a US reactor was in April of 2013, when an employee was killed at the Arkansas Nuclear One plant while moving part of a generator. Jaczko served as chairman of the nuclear regulatory agency since 2009, and according to the Times resigned in 2012 following conflicts with colleagues. He was seen as an outlying vote on a number of safety issues, and had advocated for more stringent safety improvements during his tenure. A man examines oil on his hand at the site of an Exxon pipeline rupture in Arkansas. Photo: Flickr user Tar Sands Blockade, creative commons licensed. Activists with the group Tar Sands Blockade published new videos on Sunday showing oil from the Arkansas pipeline rupture purportedly diverted from a residential neighborhood into a wetland area to keep it out sight and, most importantly, out of the media. While it’s not clear if the oil was intentionally moved into the wetland, the company says it is cleaning pavement with power washing devices, which could cause some of the oil to be pushed off neighborhood streets and into other areas. Activists also interviewed a local resident who claimed the oil has continued “flowing” into Lake Conway since the spill happened. A letter sent by ExxonMobil to residents of Mayflower on March 31 claims the oil did not reach Lake Conway. The activists noted that they were turned away from the area several times before by police and Exxon spill cleanup workers, but they returned on Saturday just before sundown and managed to sneak in to capture footage of the oiled wetlands. In two separate videos, nearby residents say they’ve been made sick my the spill, which has tremendously affected their air quality. This footage has largely remained out of the media due to the lockdown that’s descended upon Mayflower nearly a week since the spill. Reporters touring the damage with Arkansas Attorney General Dustin McDaniel were allegedly turned away by Exxon workers. One journalist, InsideClimate News’s Susan White, was even threatened with arrest when she asked a question of Exxon’s “public affairs” desk inside the spill cleanup command center. The company has also secured a no-fly zone over the spill area. Video of Lake Conway’s wetlands shows thousands of what Exxon called “absorbent pads” — which appear to be nothing more than paper towels — littering the blackened landscape as thick, soupy crude bubbles across the water’s surface. The company insists that air quality in the affected region is being measured by the Environmental Protection Agency, and that tests show “levels that are either non-detect or that are below any necessary action levels.” Exxon also says that the area’s drinking water remains unaffected. A phone number given by Exxon to reach the company’s “downstream media relations” team did not appear to be correct, and a spokesperson was not available for comment. This video was published to YouTube on April 6, 2013. WASHINGTON, DC, August 30, 2005 –/WORLD-WIRE/– Eleven EPA employee unions representing over 7000 environmental and public health professionals of the Civil Service have called for a moratorium on drinking water fluoridation programs across the country, and have asked EPA management to recognize fluoride as posing a serious risk of causing cancer in people. The unions acted following revelations of an apparent cover-up of evidence from Harvard School of Dental Medicine linking fluoridation with elevated risk of a fatal bone cancer in young boys. The unions sent letters to key Congressional committees asking Congress to legislate a moratorium pending a review of all the science on the risks and benefits of fluoridation. The letters cited the weight of evidence supporting a classification of fluoride as a likely human carcinogen, which includes other epidemiology results similar to those in the Harvard study, animal studies, and biological reasons why fluoride can reasonably be expected to cause the bone cancer – osteosarcoma – seen in young boys and test animals. USA Citizens can easily back-up the 7,000 EPA ‘career employees.’ Consider, you and your family need CLEAN & SAFE Drinking Water, every day. This is your opportunity to back those 7000+ EPA union members that care about scientific integrity and exposing the truth about ‘corporate hazardous waste fluorosilicates’ being metered into our drinking waters. Their common sense demand for a ‘moratorium on fluoridation’ along with Congressional Investigation incl. ‘under oath’ hearings is critical! We, the undersigned, join with members of eleven EPA unions in their call for an immediate Congressional act placing a national moratorium on water fluoridation pending a full Congressional investigation into this public policy, which affects – directly and indirectly – every resident of the United States.